Museum-lovers will appreciate Arctic Museum Nanoq and The Toivonen Animal Park and Peasant Museum. 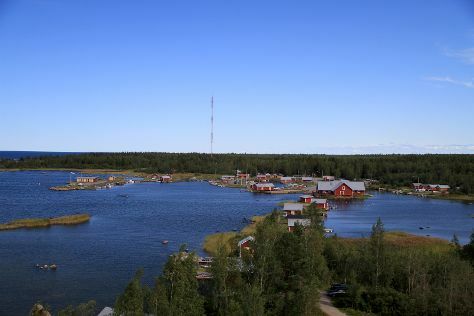 Do some cultural sightseeing at Neristan (Old Wooden Town) and Meteoriihi. Explore the numerous day-trip ideas around Vaasa: Villageshop Veljekset Keskinen (in Tuuri), Kuddnas Museum (in Uusikaarlepyy) and Pietarsaari (Aspegrens Rosenlund & Garden of the Schoolparc). To see more things to do, other places to visit, and more tourist information, refer to the Vaasa planner . If you are flying in from United States, the closest major airport is Vaasa Airport. In August, daily temperatures in Vaasa can reach 67°F, while at night they dip to 51°F. Wrap up your sightseeing on the 19th (Mon) to allow time to travel back home.